The internet market is getting stiffer. There are so many people trying to get you as one of their leads. I’m sure you would have visited countless landing pages, on some, you quickly click on the close button while on some you skip through. The truth is, you can stand out of this numerous landing pages that are flooding the internet. If really want to generate good leads, then you should take what you are about to read seriously. In it, you will find how to build effective landing pages and get more conversions with lower bids in your online marketing campaigns. Research shows that just as in the consumer market, B2B (Business-to-Business) buyers now use search to begin their buying process. How many? 93% of B2B buyers use search when starting the buying process. It’s the B2B marketer’s job to help educate the buyer in the early stages of the buying cycle. This can help frame the discussion and establish your company’s brand as a trusted advisor that understands their problems and knows how to solve them. …So How Do You Catch Them? So how do you catch prospects early? - Leverage search engine marketing so customers who are seeking your information can find you. - Creating compelling landing pages for each topic that prospects will want to research. 1. Search engines care about the relevancy of the landing page, so a high-quality landing page gets better pay per click ranking (and more clicks) for less money. 2. A relevant and optimized landing page has dramatically higher conversion rates, meaning you get more leads for your money. Remember the days before Google (Yes, there was an Internet before Google and no, it wasn’t AOL) when banner ads were new and great and people actually clicked on them? You built landing pages then, didn’t you? You didn’t? 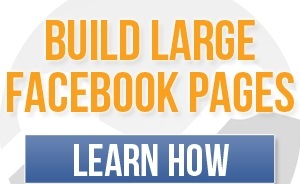 Well, following through on the banner ad concept would have increased your conversions. Obviously if your prospect clicked on the ad, then the concept and offer had appeal. Continuing the concept through to the landing page just made sense. That principle is still true. Only now there are thousands of companies – large, small, home businesses – using search marketing on Google, Yahoo and others to sell stuff, to create leads and to build brands. That’s why it’s even more important to create landing pages that relate to the ad they’re attached to. You have to keep the prospect interested through the conversion. Having relevant content on the landing page, or more correctly, having the keyword, ad and landing page relevant to each other, will increase the relevancy of your Google AdWords ad and can move your ad higher on the page, even if your bid was lower than another. Yahoo works the same way. what works best for you. But as a starter, consider the following practices. Build some HTML templates to use, but make them simple. This isn’t your home page, so remove the navigation. Focus on a single call to action, such as a download or a demo. Distractions kill conversions. Include a logo – always think branding! Include a hero shot – a mock up of the white paper cover, for example, or a photo of your webinar speaker. Make it clickable. People click on graphics! Make it straight and to the point, but give your prospect a reason to give you his information. A form is the best way to go here, but don’t ask for too much information. Collect as little as you need at this stage of your marketing funnel. You can always collect more information during your nurturing process. else they might be interested in? Make another offer. This is especially important. The name of the page, along with the rest of the URL path, is weighed fairly heavily. You can use 1024 characters, so you don’t have to be stingy. And use dashes between words, not underscores – search engines like that better. Craft a good 100-word description! The best B2B marketers test everything, and almost everything can be tested: offers, copy, headlines, forms, bids, colors, designs, lists, and more. Testing removes any debate about what works and what doesn’t; testing lets your customers vote with their actions. 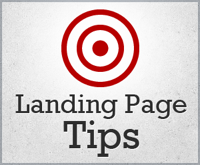 Landing pages are one of the most valuable things to test. A division of Siemens USA found that testing on the home page improved conversions by 2.3% but testing on the landing page increased conversions by 115%! Be careful not to over-test. This is especially a problem in the “high value, low volume” world of B2B marketing. A good rule of thumb is to take the number of conversions you get per day and divide it by 10. Then take your testing period in weeks and divide that by 2. Multiple the two results together to get the number of versions you can confidently test in your testing period.